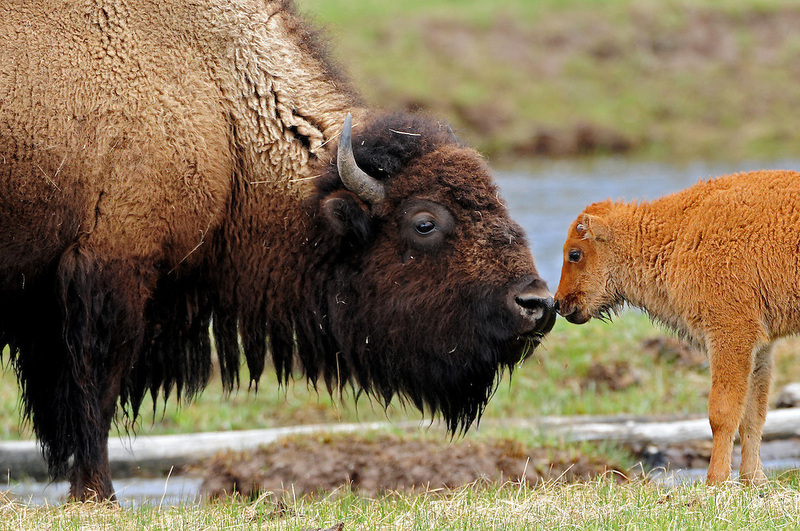 Young bison calves are reddish brown in color. At about two months of age, the calf begins to develop a shoulder hump and horns and also begins to turn dark brown. At four months, calves are entirely brown and more closely resemble their mother.This young calf reunites with his mother after crossing the Madison River in Yellowstone National Park.